Well researched contributions from both new and established local authors. 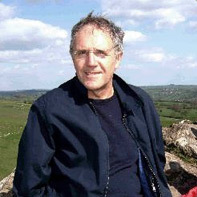 The whole work has been edited by Brian Elliott, the originator of the Aspects series. Written in an informative and accessible style and containing over one hundred illustrations, the majority of which are previously unpublished, Aspects of Doncaster 2 will appeal equally to the dedicated researcher and history orientated general reader.Aspects of Doncaster 2 contains fourteen previously unpublished contributions, including the experiences of the editor while an Apprentice for Doncaster Rovers in the mid 1960’s, Tom Puddings and the Waterways around Doncaster and an Anniversary Tour around the Mansion House. Other contributions include the salutary tale of the Descent into Debt of Doncaster Council in the 1800’s, Medieval Church Monuments, the Development of Denaby Main village, Bawtry’s History in the Townscape and many, many more.